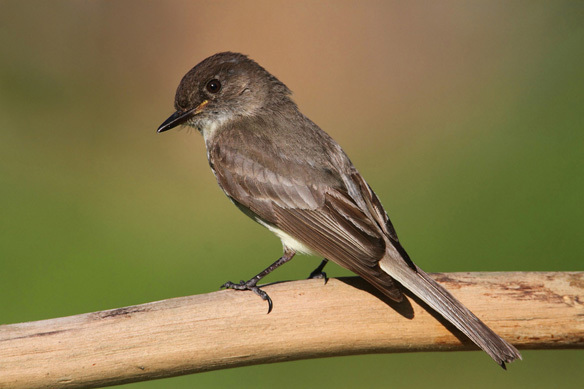 The Eastern Phoebe can be seen and heard often at Tanglewood. Forsyth County’s Tanglewood Park, in partnership with Forsyth Audubon Society, introduces the Yadkin River Nature Trail with interpretive signage showcasing local species. 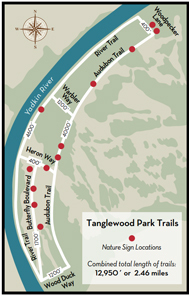 The Trail is located at Tanglewood Park along the Yadkin River, near the BMX track. 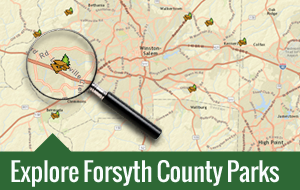 After working together for several years on a native warm season grass restoration project, the County asked Forsyth Audubon to develop signage for the Nature Trail. Forsyth Audubon secured the funding and designed the educational signage. Twelve signs now welcome visitors in the southwest corner of the park. This area includes geographical features like the native grassland and an oxbow that support a diversity of wildlife from frogs to butterflies to hawks and owls.